I know everyone tells you to not eat food from street vendors, but when I see spiced mango and veggies, everything I know about food safety goes happily out the window. Why I’m obsessed with spicy, citrusy fruit served on sticks or in plastic bags while traveling is beyond me, but the fact that I never recreate a fancier version at home is inexcusable. With fun decorative glass jars, these are easily worthy of a pre-meal appearance at any gathering. Using a very sharp knife or vegetable peeler, remove the skin of the mango (and jicama if using whole, fresh). Slice the fruit and cucumber lengthwise 1/4-1/2″ thick slices. 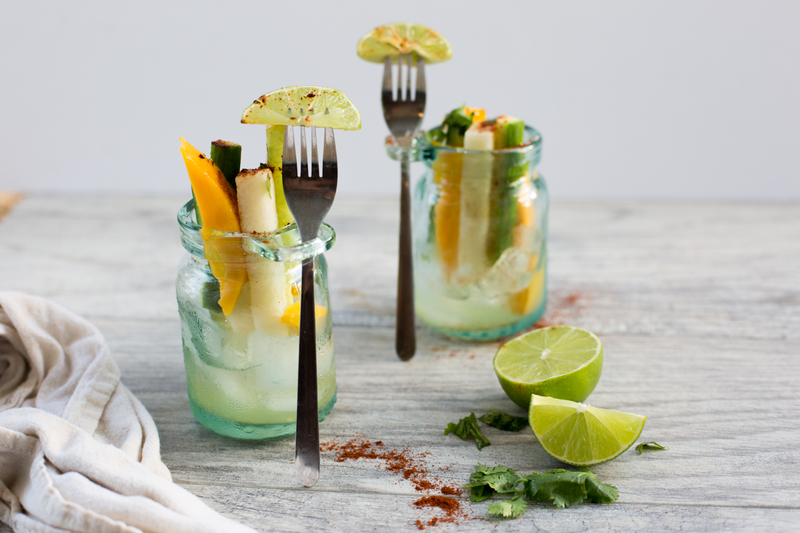 In a chilled glass, stand fruit and veggies upright and drizzle generously with lime juice. Sprinkle with chili and salt to taste. 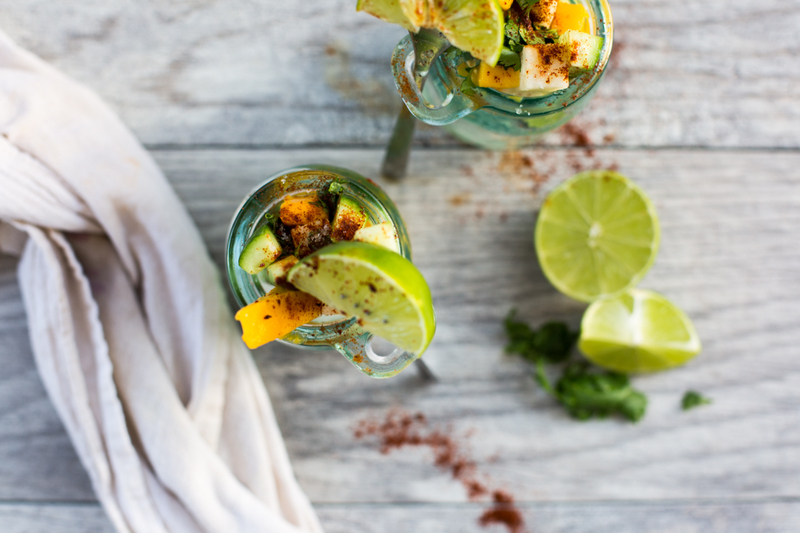 Garnish with cilantro for an added kick. 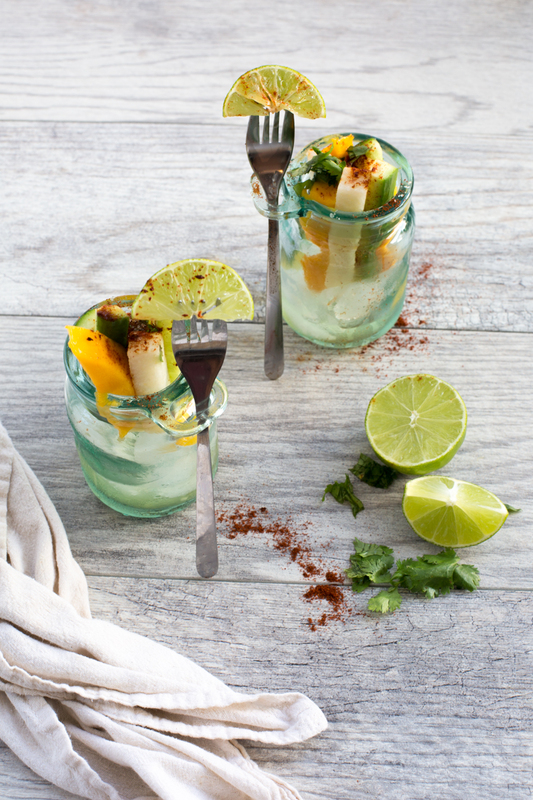 Serving Suggestion: Serve in decorative glasses filled with ice to keep fruit and veggies chilled.